A new widget from St. Luke's Productions. I have also placde this on Spiritual Moms Apostolate blog, World Apostolate of Fatima - Honolulu Division blog and The Catholic Homeschooling Directory Blog. By now you have heard or read the wonderful news! 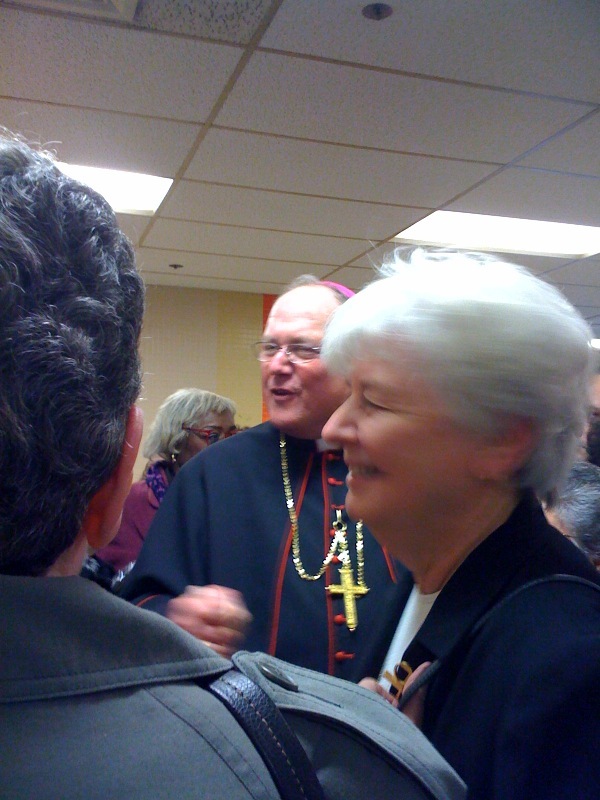 Pope Benedict names 22 new cardinals, including New York’s Timothy Dolan>. I wanted to share an interesting post about Archbishop Dolan so this is a perfect time to do so. Young John, who blogs at Writings of a Boy Discerning God's Call wrote Archbishop Dolan an interesting a couple of months ago. He recently received a response from the very busy archbishop. If you click the above link you can read about it and even read the scanned letter. I'd also ask that you keep Archbishop Dolan in your prayers as well as young men like John, who continue to discern the priesthood. "The Truth about Falsely Accused Priests"
The accused are often presumed guilty until proven innocent, while the media distorts the narrative of child abuse in the US. I rejoice that I can again show my love for you. Come, O my Lord, come and inflame my heart with love for you. You raised Lazarus from the dead. As I rise, let your mercy awaken me from the darkness of sin, from the bonds that hold me fast. You can heal all wounds of my soul. For this, O Jesus, accept my thanks. From this day I will begin a new life. With the help of your grace I will be patient, diligent, and devout. Show me the occasions in which I may practice my good resolutions. Grant, O Jesus, my request to love and praise you with my whole heart, with my whole soule, and with all my strength. Mother of Jesus, pray to your Son for me. O Jesus, my divine and most amiable teacher, teach me humility and resignation to your most holy will. This I ask with confidence. You granted me temporal favors when I called on you; you will not now reject my prayer for spiritual favors. True, the favor I know beg is infinitely superior to any temporal one and I am altogether unworthy to receive it, yet it was your will that I should be humble, truly humble, with sincere, heartfelt humility. Grant me this favor, that I may be more conformable to you. Grant it , my beloved Savior, my most amiable. Teacher. With the 39th anniversary of Roe vs. Wade quickly approaching, the March for Life & Walk for Life West Coast are an important public witness in the fight to protect the unborn. Although many of us are not able to attend in person, you can still play a vital role by raising awareness in your community about these pro-life events. EWTN will offer viewers the most complete coverage available on any network of both San Francisco's Walk for Life (Saturday, Jan. 21) and Washington, D.C.'s March for Life (Monday, Jan. 23). Coverage will include live Masses, walking processions, rallies, interviews, panel discussions, and speeches from pro-lifers around the country. Be sure to visitwww.ewtn.com for further details. Thank you for your kind cooperation and, if I can ever be of assistance to you or your parish with regards to EWTN, please feel free to contact me. I hope that this New Year will bring you and your family an abundance of blessings. EWTN To Air Exclusive Coverage of 2012's Historic "Walk for Life/March for Life" The Eternal Word Television Network is proud to bring you the most complete coverage available on any network of both San Francisco's Walk for Life (Saturday, Jan. 21) and Washington, D.C.'s March for Life (Monday, Jan. 23). Coverage will include live Masses, walking processions, rallies, interviews, panel discussions, and speeches from pro-lifers around the country. Visitwww.ewtn.com for more information or to watch coverage live online. Just a reminder to have your blessed chalk ready. Let us pray, In the name of + The Father, and The Son, and The Holy Spirit. Amen. 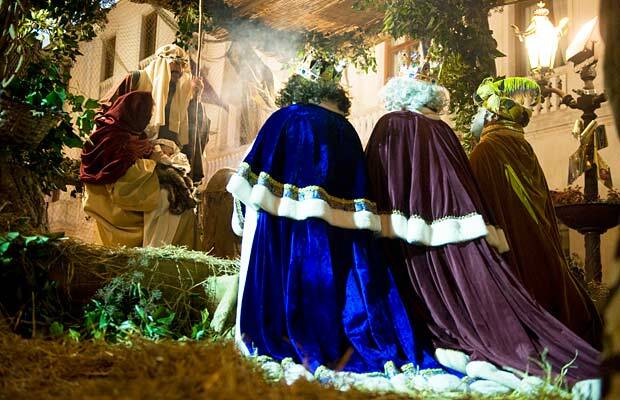 V. On entering the house, the Magi found the Child Jesus with Mary his mother. R. They did Him homage and presented to Jesus symbolic gifts: gold to the great King, incense to the true God, and myrrh as a foreshadowing of his suffering and death. Let us pray, God, our Father, by the guidance of a star, You revealed Your only Son as the Savior of all nations. Grant that we who already know You by faith, may be brought to the contemplation of Your glory in our heavenly home. We ask this through Christ your Son, Our Lord. Amen. All may recite the Canticle of the Blessed Virgin Mary (The MAGNIFICAT) by which Mary praised God at the time of her Visitation to the house of Elizabeth found in St. Luke's Gospel Chapter 1, verses 46-55. V. Be enlightened, O Jerusalem, and shine forth …for Your light has come! R. And upon you is risen the glory of the Lord Jesus Christ, born of the Virgin Mary. V. All nations shall walk in Your light and kings in the splendor of Your birth. from St. Matthew's Gospel, Chapter 2, verses 1 to 12. V. Jesus Christ, the Savior of the world, has appeared and been revealed to the nations. R. The prophets foretold His coming, and the angels and shepherds adored Him. V. The Magi rejoiced to find Him and they lay their treasures before Him. R. All you nations and peoples, …come and adore Him! All recite The OUR FATHER as all the rooms of the house are sprinkled with holy water …and also if possible with blessed salt. Let us pray, Blessed are you, Lord, God of all creation. Through Your goodness we have received all benefits. Come, visit and bless + this house so that it may be a shelter of health, chastity, self-conquest, humility, goodness, mildness, obedience to the Commandments, - and thanksgiving to God, + The Father, The Son, and The Holy Spirit. May the love and blessings of God, + The Father, and The Son, and The Holy Spirit, descend upon this house, all those who reside within it, and upon all those whom they welcome in the Sacred Name of our Savior, Jesus Christ, and may God's grace and peace remain with all of them forever. Amen. 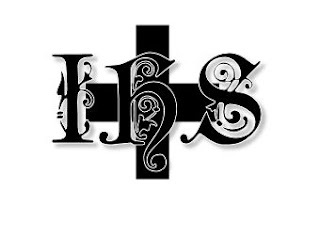 (Some interpret the letters to stand for Christus Mansioni Benedicat! May Christ bless this house! The name Jesus was given to the Holy Child at God's command (Luke 1:31). The Holy Name is all-powerful because of the Person who bears it; we honor it because of the command of Christ, that we should pray in His Name and because it reminds us of all the blessings we receive through our Holy Redeemer. Hence St. Paul was able to write to the Philippians: '...at the name of Jesus every knew should bend of those in heaven, on earth, and under the earth' (Phil. 2:10). By means of this devotion we also make amends for improper use of the Holy Name. Blessed be the most holy Name of Jesus without end! O Jesus, my Savior and Redeemer, Son of the living God, behold, we kneel before thee and offer Thee our reparation; we would make amends for all the blasphemies uttered against Thy holy name, for all the injuries done to Thee in the Blessed Sacrament, for all the irreverence shown toward Thine immaculate Virgin Mother, for all the calumnies and slanders spoken against Thy spouse, the holy Catholic and Roman Church. O Jesus, who has said: 'If you ask the Father anything in My name, He will give it to you,' we pray and beseech Thee for all our brethren who re in danger of sin; shield them from every temptation to fall away from the true faith; save those who are even now standing on the brink of the abyss; to all of them give light and knowledge of the truth, courage and strength for the conflict with evil, perseverance in faith and active charity! For this do we pray, most merciful Jesus, in Thy name, unto God the Father, with whom Thou livest and reignest in the unity of the Holy Ghost world without end. Amen. Practical tips to help you evangelize in 2012. Thank you Brother John for sharing.